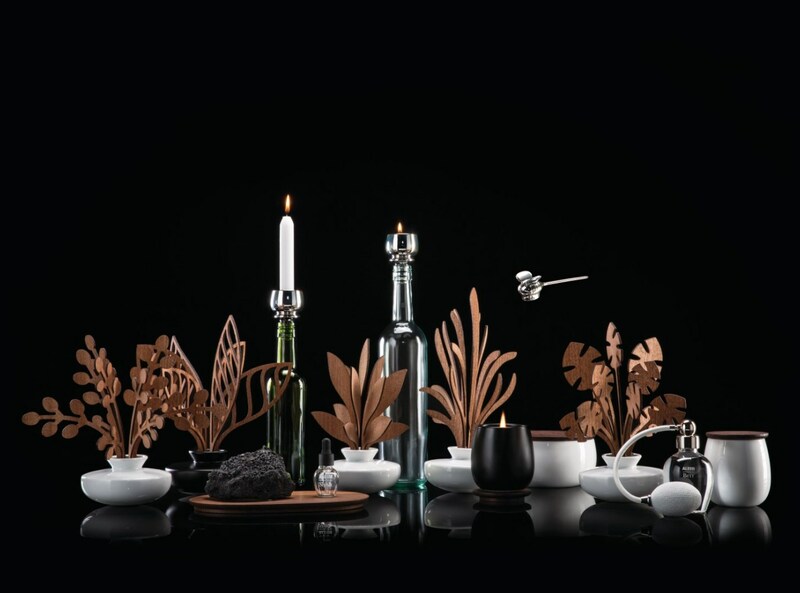 Fascinated by the concept of exploring the world of home fragrance through the lens of design since the mid-1980s, Alberto Alessi first happened upon the idea during a conversation with acclaimed architect and designer Andrea Branzi who wondered if it would be possible to capture the fresh air of the Dolomites, or the sea cliffs in a home fragrance. 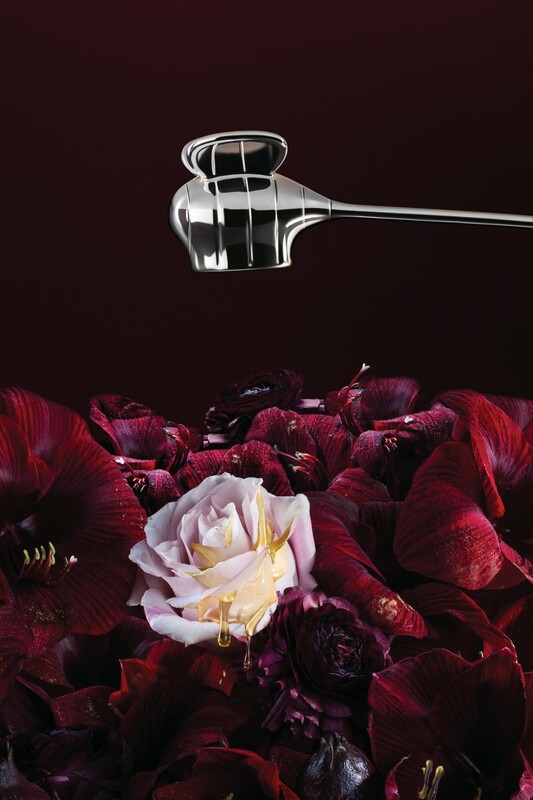 Now thirty years later Alessi’s first foray into fragrance is here. Designed by Marcel Wanders, the collection captures the essence of the seasons and is an entirely new chapter in Alessi’s history. Hailed as a completely multisensory experience, the Five Seasons collection is split into five unique fragrances, four representing the traditional seasons and the fifth scent capturing ‘transcendence’. 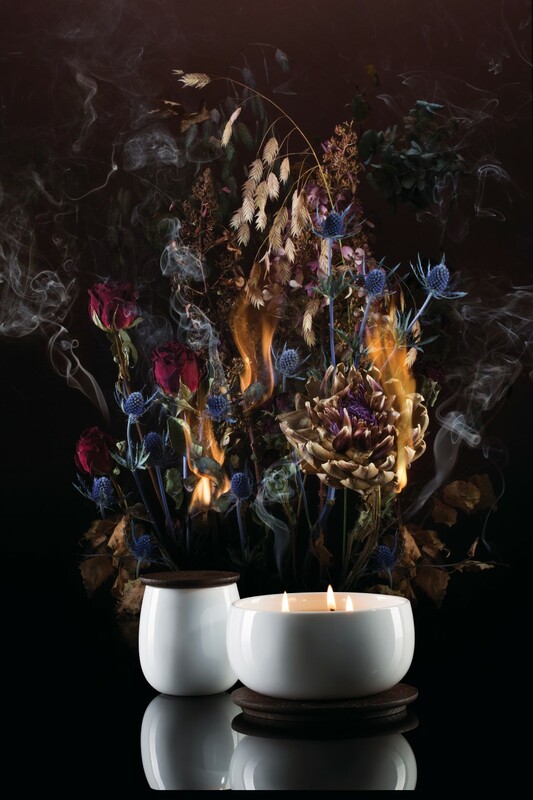 Created with guidance from one of Grasse’s expert perfumers (the perfume capital of the world), the scents have been made to mirror the transformative, cyclical experience of life – from renewal and blossoming, to ripe and beyond. 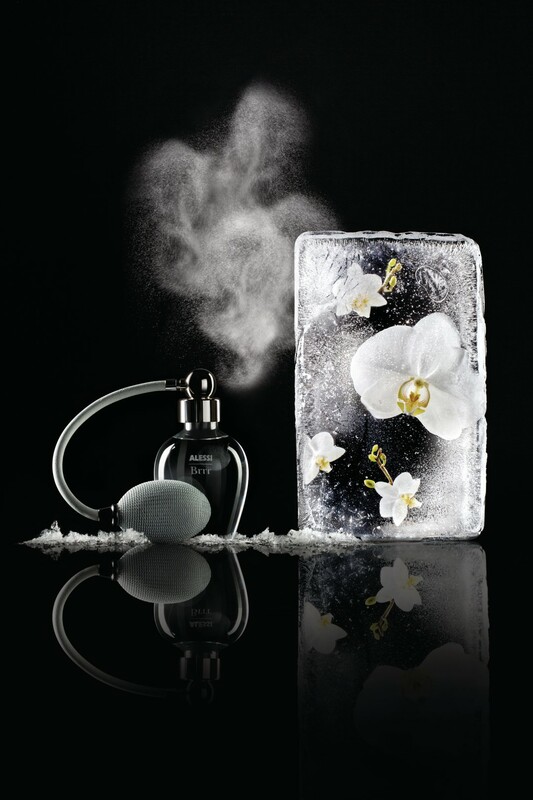 The epitome of winter, the Brrr fragrance features the frozen, crisp scents we are accustomed to experience at this time of year. 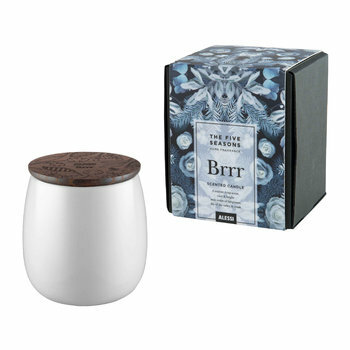 Cool yet bright, it offers notes of bergamot, lily of the valley and musk to capture the chill of winter air. Ahhh represents the blossoming of spring and radiates a delicate herbaceous scent with floral notes of cardamom, hyacinth and vetiver to create a bursting bouquet. Exemplifying new beginnings, the clean scent refreshes any space. 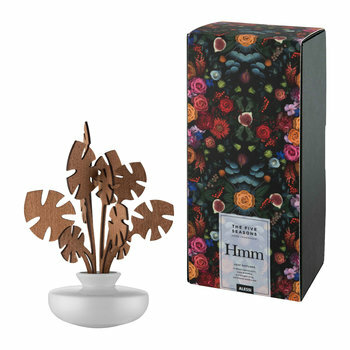 A sumptuous scent, Hmm is the embodiment of the summer season with a vibrant, heady mix of figs, red fruits and mixed woods. The ripe, rich scent captures the intoxicating warmth of this time of year, from balmy summer evenings to lazy days at the beach. 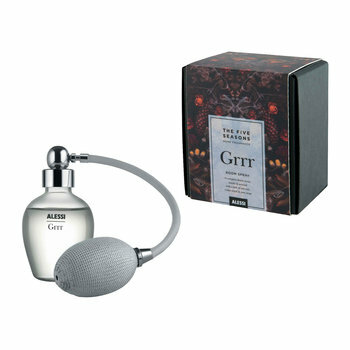 Another rich fragrance, Grrr celebrates the scents of autumn with a complex, smoky aroma. Combining incense, cedar wood and moss, it captures the months of bonfires, leaves turning and dark nights drawing in its enticing notes. The additional season, Shhh, is a mysterious and spiritual scent with eucalyptus, rose and patchouli and is set apart from the other scents with sleek black vessels in comparison to the four seasons’ white. 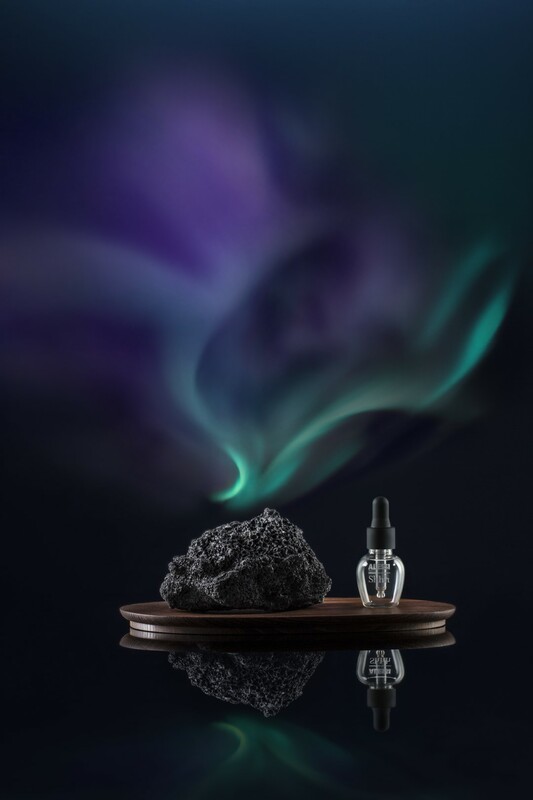 Connecting you to your mysterious inner dimensions, this transcendent scent completes the unique home fragrance range. 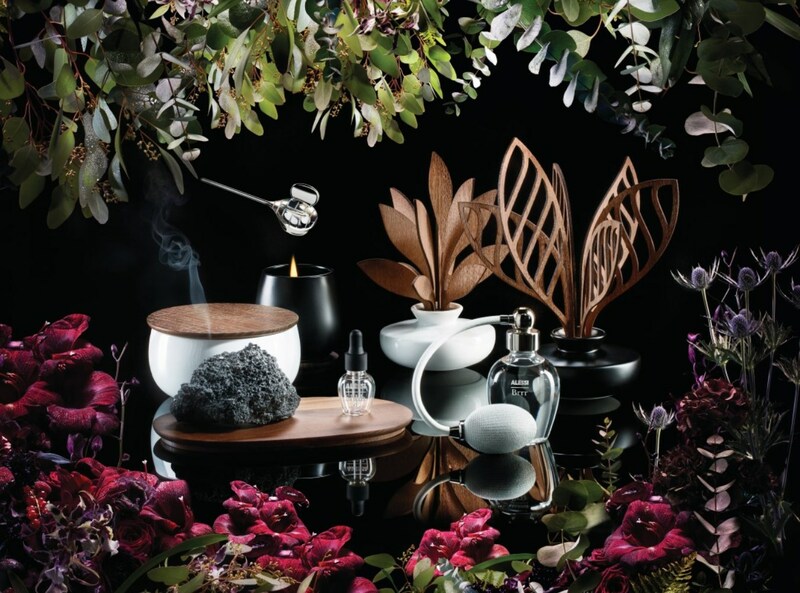 Available in a collection of home fragrance types, the Five Seasons range includes scented candles in elegant curved vessels and room sprays with traditional perfume hand pumps. 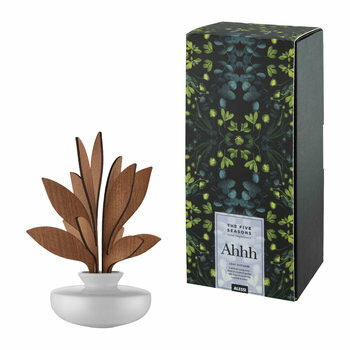 But the most unique designs can be found in the diffuser bottles. 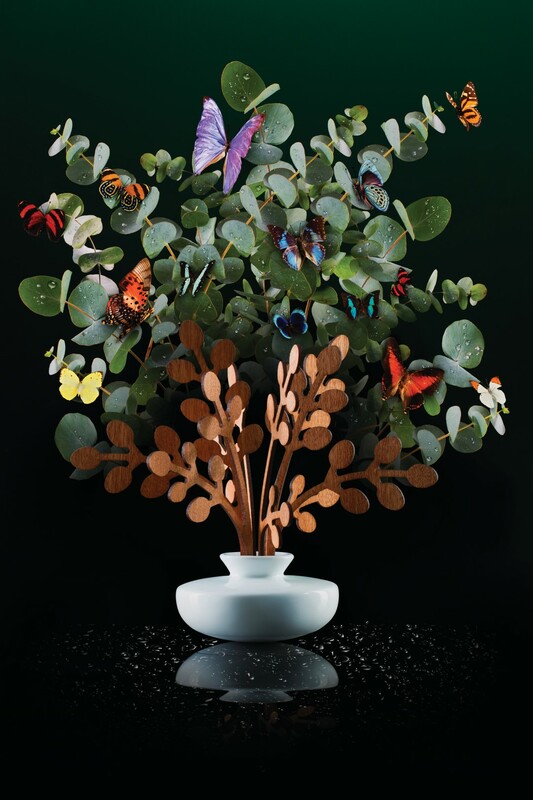 Synonymous with Alessi’s iconic design style, the diffusers offer sleek ceramic vessels topped with wooden diffuser sticks carved into ornate foliage to represent each season. 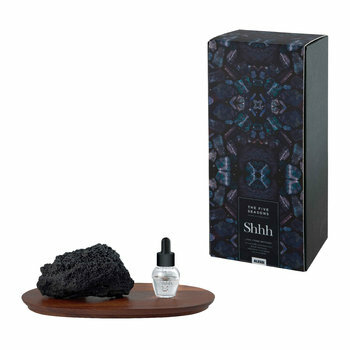 Last but not least is the unique lava stone diffuser designed to be coated with drops of the Shhh fragrance. 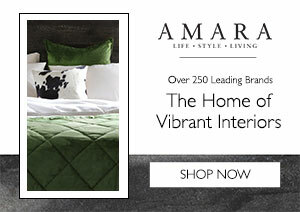 The unique Five Seasons collection is now available at Amara to journey on a scenting experience of the seasons.